Full line-ups for each event include sets from Latmun, Amine Edge and DANCE, Mason Maynard, Darius Syrossian, East End Dubs, GW Harrison and many more. The first half of the tour concludes with the Sankeys 25th Anniversary festival in Manchester. Taking place on Saturday 13 July at a never-before-used venue, the festival will span five stages - Sankeys By Day (Outdoor Arena), Sankeys By Night (Indoor Arena), Unusual Suspects, The Redlight and Dance 88/89 – and see sets from an array of DJ talent including Hector Couto, Cassy, tiNI, Sam Divine and Sidney Charles. For the last 25 years, Sankeys has possibly helped shape the electronic music scene with its music policy and singular events, both in the UK and across the world. Starting life as Sankeys Soap in the rave heyday of 1994, over the next decade and more the Manchester venue hosted some the world’s biggest house and techno artists. 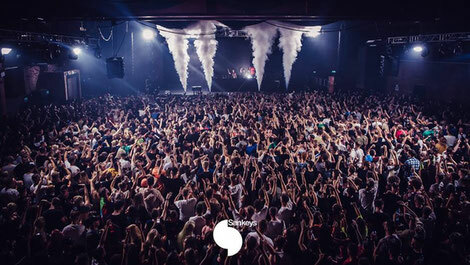 After a major refurbishment the venue was reborn in 2006 where it remained a popular clubbing venue until its closure in 2017. The party went on however, and after spells in Ibiza, the US and at new venues such as London’s Studio 338, Sankeys continues to run parties in 2019. The anniversary tour is a way for the brand to celebrate two and a half decades in the electronic music scene, with more events to be announced for the second half of the year.